UH Maui College generously allows us to use their facility for our meetings. Do you need more in-depth help with understanding how to use your Apple devices? 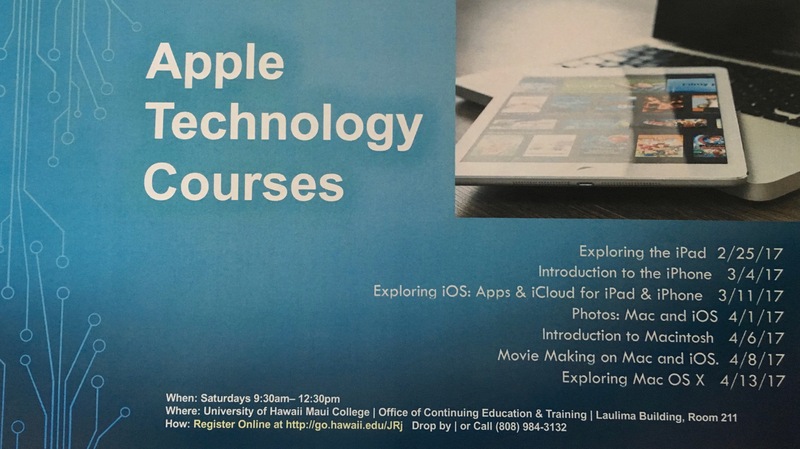 The EdVenture Program offers classes covering all sorts of MacOS and iOS topics. See schedule below. If you are interest in registering for a class click here.